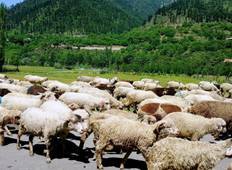 Uncover new and exciting adventures in Kashmir by taking part in our small group tours. Go sightseeing at your own pace surrounded by travellers like you. Provided by top tour operators & travel companies, our small group tours in Kashmir will offer you the perfect balance between spending time on your own and group activities. "I recently did two tours with GeTS Holidays - one week in Kashmir, and one week in..."
"Thanks a lot for giving us a memorable holiday in your beautiful country. 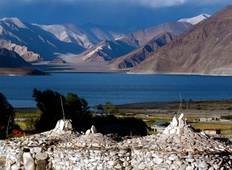 Every part..."
"Ladakh is untouched and beautiful! All the services by Planetwildlife were excellent..."
"We visited Leh Ladakh last year, it is one of the most beautiful destinations I visited...."
"Fantastic services provided by HolidaysAt and very amazing place to visit." "Every part of our trip has been wonderful and very well organised and everyone very..."